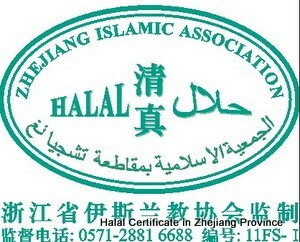 There is no national Halal certification authoring organization in China. Therefore, when you travel around China from provinces to provinces, you may find that Halal Certificate are various in different areas of China. The current practice in China is that each province or autonomous region has its own policy concerning Halal food regulations. For instance, here in Beijing, we have Beijing Halal Food Management & Regulations which specify the details of how to start Halal food business and how to get Halal Food Certificate. 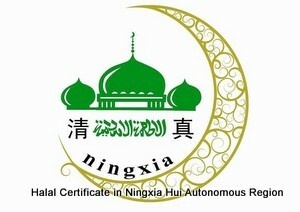 How to apply for a Halal Certificate in China? Here is a general plan for applying Halal Certificate in China. Of course, each province and autonomous region has its own, more specific requirements based on their regional Halal Food Management & Regulations. You need to provide required documents such as the photo copy of the Muslim who will be in charge of the Halal establishment, a certain percentage of Muslims hired by your Halal establishment (25% is the minimum requirement in Beijing) to the Ethnic Affair’s Office of the city or county where your Halal establishment will be located. Halal Food Management & Regulations of some provinces and autonomous regions stipulate that Halal Certificate can also be applied at Local Islamic Associations. Therefore, when you travel in China, you may find Halal Certificate issued by Ethnic Affair’s Office and Islamic Associations of the local city. Let’s take Beijing as an example. Article 4: When purchasing Halal food or raw materials for cooking Halal food, Halal Certificates or Halal Slaughter Certificates issued by county, or city level Government Ethnic Affairs Office or Islamic Associations must be presented. The Chinese character “Qingzhen (Halal)” in Chinese must be clearly seen on the packaging. Article 5: The tools, containers and other processing facilities of Halal food processing, transportation, storage must be guaranteed to be used only for Halal food and there must be a person responsible for this. The label of “Specially for Halal” has to be clearly marked on Halal food processing facilities and storage facilities. Article 6: There must be a Muslim who knows exactly Halal food traditions in the managing team. Muslims hired by the establishment have to reach a certain percentage of the total employees (25% is the minimum requirement). Non-Muslims hired by the establishment have to be trained in the field of Ethnic Policy, Ethnic Tradition and Religion. Article 7: The establishment must have Business License, Hygiene License and Tax Registration Certificates. Halal food establishment must be inspected and approved by the Ethnic Affair's Office of County or District level government and Halal Certificate issued by related government offices must be hanged on your establishment. This means that if your Halal establishment is located in Beijing’s Chaoyang District, you need to bring necessary documents to the Ethnic Affair's Office of Chaoyang District and your Halal Certificate will be issued by Chaoyang District Ethnic Affair’s Office.